The long-awaited launch of devices running Googleâ€™s operating system, Chrome OS, looks set to take place at the search giantâ€™s I/O conference in San Francisco next week. A new update to Chrome OS has prepared the ground for a product thatâ€™s ready for sale, introducing a much-requested file manager and improved access to private â€œVPNâ€ networks that corporations use to access internal systems. 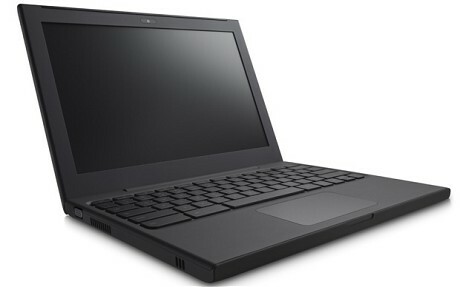 Chrome OS currently exists primarily on Googleâ€™s CR-48 laptop, a trial device that has been distributed for free to developers and potential users. Based on Googleâ€™s Chrome web browser, it is based on the principle that most usersâ€™ needs can be met via web-based services. The hardware, however, is described as “experimental”. Samsung has however already been announced as a hardware partner for when devices eventually go on sale. The company has invited journalists to an event after Google I/O closes on Wednesday 11 May. The invite says â€œWe wish we could tell you the details now, but that wouldnâ€™t be any funâ€. The event is set to be a celebration of the new announcements Google will make at I/O. Speculation continues, however, that the number of actual devices available at I/O will be limited, suggesting that the computers will not be going on sale imminently. Google, which made no official comment, has previously said that devices will retail in the summer.